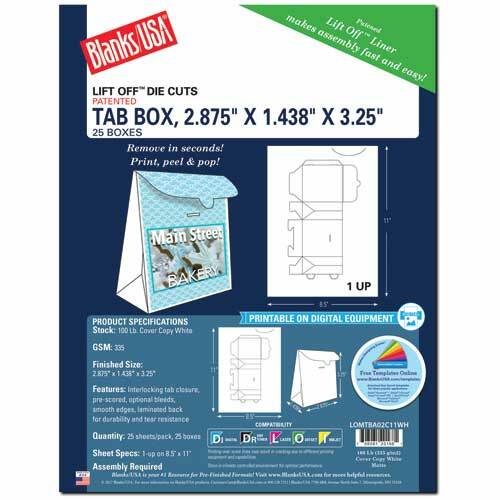 Tab Box Die Cut , 100 lb Cover Copy White , 25 8.5" x 11" Sheets, 1 Tab Box per Sheet with a finished size of 2.87" x 1.43" x 3.25". Interlocking tab closures, prescored, optional bleeds, smooth edges, laminated back for durability and tear resistance. Assembly required.